PAM: Welcome to another Q&A episode. 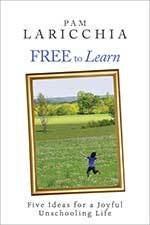 I’m Pam Laricchia from livingjoyfully.ca, and I’m happy to be joined this month by Anna Brown. Hi, Anna! PAM: Hello, hello. And let’s just dive right in. Do you want to start with the first question? Hi. We are a South African unschooling family. I have two sons, 10 and 8, and a daughter who is 4 years old. My two sons attended preschool, but when my eldest was supposed to go to grade one, we took them out of school and started homeschooling them. I started on a very rigid program, but started relaxing more and more as I realized that my eldest was very unhappy with sitting still and doing book work for hours. In the beginning of 2017 I made a new friend who happened to be an unschooler. 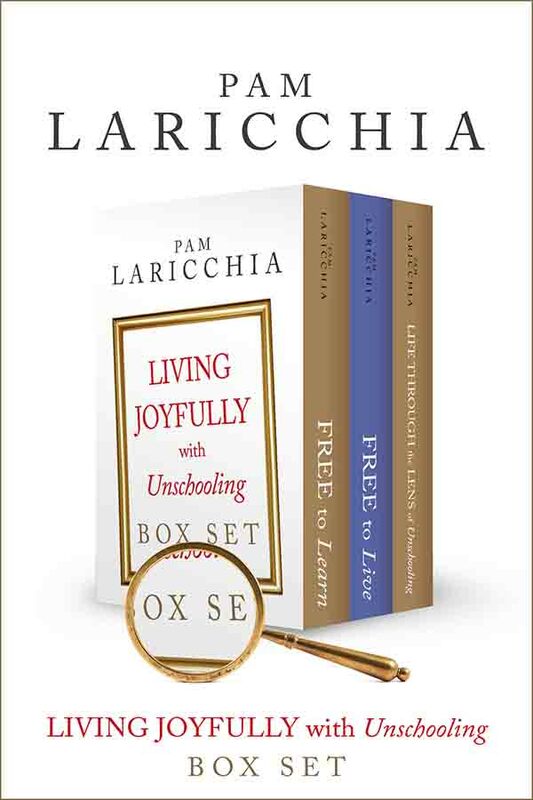 She encouraged me to listen to some of the Living Joyfully podcasts. I listened to one and it was as if I had found something that I was looking for all of my life, without knowing that I was looking for it. It was absolutely wonderful. It took some time to convince my husband, but he was willing to be convinced, and then we jumped in completely! My question has to do with our home situation. We live in a very small house, and my husband tutors online. There can’t be noise when he is working, so I have to silence the kids all day long. My children are very active and loud and beautifully dramatic all of the time. It is very difficult for them to be quiet and I usually end up getting frustrated and taking my frustrations out on them. I try to take them on outings all the time, but I want my children to love their home. They don’t want to be at home at all anymore. I do wonder sometimes if unschooling like this is really conducive to their happiness and well-being, or am I pursuing a dream that does not fit in with our current situation or lives. I know that there is no advice that can change my circumstances at home. What I am really looking for is ideas to make home more inviting and fun for them, without spending too much, as our budget is very tight. Thank you for taking the time to answer my question. Regards. ANNA: So, hello. And first, I just love that you’re seeing your children and all of your finding your way to unschooling. And it sounds like it has brought a lot of joy. What popped up for me is, I’m thinking along the lines of finding ways to maybe soundproof your husband’s space. He can be in maybe a small section of the house. There are different wall pads that aren’t expensive that can dampen sound. Sound canceling headphones might be an option, but you’d have to see how the sound is carrying from the rest of the house through to his clients. But it might help. Because I would say that home is certainly a part of unschooling. While we spent lots of times out in the world, home was really our haven, and a place of joy and learning and connecting. Right now, personally, we’re currently struggling with internet issues, after a recent move. So today I’m in a tiny room that’s like a fish bowl, at the library, so that I can record with Pam. And maybe there are community options, or some type of time sharing with spaces with your friends that might not be an everyday option for your husband, but an occasional option for him to give you more freedom at home. I would definitely be aware of your triggers. And when you feel yourself becoming frustrated, talk to the kids about that. Not about their behavior, but about how you’re feeling concerned about their dad, and what can we do to help give him the quiet he needs for his work, but while still enjoying our home. Because I think when you get them involved in the solutions, that’s going to help everybody feel included and heard, and then you have buy-in. That said, I don’t really think it’s realistic to think that kids can be quiet in a small space all day long. But what I’m thinking is that maybe a combination of leaving home like you’ve been doing, being outside, even at your home, your husband finding some other options part-time, will be enough to get you through this time right now. Because something that I’ve learned along the way is that things change all the time. So it’s really important not to project any particular issue way out into the future. Deal with what’s in front of you in manageable bites. So, while you might say, “Well no, long-term, he can’t go to a friend’s house every week, or whatever.” He doesn’t need to go every week. What if he just went one day this week and it gave you all time to reconnect at home? Or what if he found an option once or twice a month somewhere else. So it doesn’t have to be this forever and always, but find ways to deal with what’s happening right in front of you right now, because again, things will change. So that’s kind of what came to mind when I was reading your question. 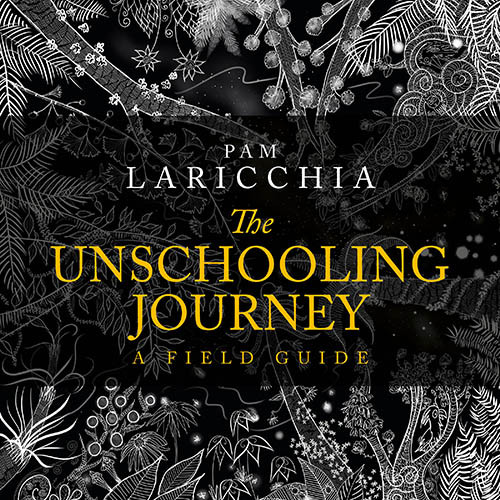 PAM: Yes, I really enjoyed reading just a little bit about your journey to unschooling and then the podcasts. I love that idea, too, because when I first discovered unschooling, that leap was like, “Oh my gosh, this is perfect! I had no clue!” (laughs) But anyway, I found the question really interesting too. Now for me, when I’m feeling uncomfortable about something, the first step is to try to tease apart what’s going on, to try and discover what’s lying at the root of my discomfort. Because the initial challenge you talked about was maintaining a reasonably quiet home environment, while your husband is working. Made sense. And trying to play quietly at home for obvious reasons wasn’t working, so you’ve been taking them out on outings. And from what you’re saying, it seems like that’s been working pretty well. Your husband’s getting his work done in a quiet home, the kids are enjoying being out and about. So, I wasn’t quite sure why you were looking to spend more time at home. I just thought that might be something interesting for you to dig into. Because if you’re looking to spend more time at home, you’re back to, again, the initial challenge of staying quiet. And Anna had a lot of wonderful ideas of ways to incorporate it, but to understand that better and why you’re needing that, would be really helpful. 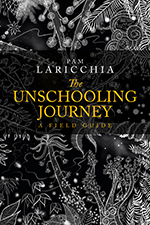 The question of whether unschooling is a good fit in this situation—it’s a really cool question, but really it has nothing to do with whether you’re spending most of your time at home or out and about. Because really it’s dependent on everyone’s needs. And in this case, the way you’re talking about it, everyone’s needs seem to be being met. Your kids are happy, they’re enjoying being out, they want to be out. All that said, you didn’t mention your needs. So, as I said, that’s where I think it could be really helpful to do some digging and brainstorming. Are you the one who wants to spend more time at home? Is that possible right now, with your husband’s work schedule, and all those ideas Anna’s had for playing around with that? So really, are there times when your husband isn’t working, or could be working out, and you and the kids could be home, but they still want to go out, and you’d rather stay home, so that’s why you’re wanting to find ways to make home more inviting? These are the great things that we can figure out for ourselves. Now I don’t think we can come up with really fun ideas of things for your kids to do at home, because we don’t know your kids and their interests. But, as Anna said, it’s time to chat with them. (laughs) So once you’ve done your own digging into all those questions, you’ll be able to explain to them when—like, in what circumstances—and why you’re looking to be at home, and see what they think about it. You can ask them what they might like to do. You can brainstorm ideas. Maybe there are some interests that they’ve put on the back burner because the focus lately has been on going out. And through those conversations you may also discover what they love so much about being out and about right now, and that can help you feel more comfortable supporting that. And you hear me keep saying, “For now, for now,” because then, as Anna said, things will change over time, right? (laughs) Things do change. Even when you think you’ve finally found a solution that seems to be working for everyone. And then something comes up—like this whole question, right? It seems to be working for everyone. You decided to go out, take the kids out more. They seem to be happy with that. Your husband’s got quiet. But something’s niggling now. Something’s feeling out of whack. So that’s the time you can start digging into understand that better for yourself, so that then you can bring that knowledge into conversations with them. And that’s the whole point. We always talk about staying connected with our kids. If you stay connected and everyone’s sharing their needs and their wants, you’re just exploring all the different ways that you might be able to meet those. And, as Anna said, you don’t need to think about meeting them in the long term. This is exploration. Let’s have fun. Maybe dad can, over the next month, try a few different places that he can work. Or you guys can try a few different set-ups inside the home for him to have a more quiet area for him to work, etc. And talking about some interests, some things that they might like to do at home to make home a little bit more inviting or enticing to stay for them as well as you, if that’s the reason why you’re pursuing the question. Anyway, I thought that was very cool. Thank you. Okay! Question number two is from Alexandra in France. 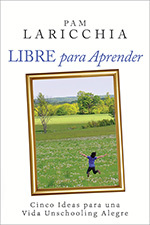 Hello, thank you for your podcasts and your help to all parents! I was wondering whether you can help me. 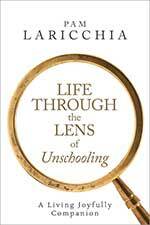 I have been living with the unschooling philosophy for almost one and a half years. I do my very best, but sometimes I do not do everything perfectly. I am not as good to my kids as I would like to. I can get annoyed by them when they scream without a reason, when they do not behave well, etc. And then I feel guilty. And this feeling makes me very sad and unhappy. Especially when it happens during the day when I am at work and cannot see my children for hours. I really try hard but I am not a perfect mom 100% of time and then I feel so powerless that it happened again and I was not as good as I would love to my children. Do you have any advice to such moms as me? Thank you very much!!! PAM: Hi, Alexandra, and thank you so much for your question. I think first I’d toss away the idea of “a perfect mom,” and think in terms more of the mother you want to be. Because that phrase “perfect mom” carries the idea of someone else judging us, whereas the idea of the kind of mother I want to be is all personal. It changes our perspective from an expectation to something we’re aspiring to. Can you feel the difference between those? One is a weight on top, slowing us down, that expectation. And the other is fuel, helping us move forward. Something we are aspiring to. The other thing that jumped out at me was your language around your kids’ behavior, because it really helps to try to see those moments through their eyes. So right now, through your eyes, you’re seeing annoyance. But they aren’t behaving that way to annoy you. They are trying to express something that’s important to them. Because they don’t scream without a reason. They have a reason. You just don’t know what it is … yet. (laughs) So try to figure that out. Last month on the Q & A, Anne talked about having a huge red stop button. So, when you feel your annoyance rising, try to hit that stop button and just pause for a moment. In that space, take a couple of deep breaths to try to diffuse your rising adrenaline. Then, try to shift and see things from their perspective. What are they trying to express using the tools that they have right now? And if things do go sideways, when they calm down, you can apologize, you can chat with them about what happened, you can brainstorm things you guys might do next time a similar situation comes up. Make a plan and try it next time. That’s how we all learn about ourselves and about being in relationship with each other. I think I just wanted to say to be kind to yourself too. And talk to your children. I mean, gosh, we go back to this every single time, because I think sometimes we’re so internal with this conflict or judging of ourselves, that really we just need to have conversations. Talk to your children. Apologize when you say or do something that you wish you’d done differently. Because they’re going to learn so much from that. That we all make mistakes and that we can apologize and be kind and start again. And that you’re willing to have a conversation with them. Because we all have big emotions at times. And don’t hold on to those feelings. Those feelings aren’t serving you or your children. Apologize, reconnect, move on with love in your heart and trust that you’re all in this together. There is no perfect. We’re all humans and we’re learning and growing all the time. And I just love what Pam said too. I feel like find those ways to connect even in those moments, but then just make sure you’re moving on when you have a conflict and something arises. Just reconnect, and then let those pieces go. Because that weight carrying around, again, is not serving anyone involved. So that’s what I have. PAM: Yeah, I think that is such a huge piece when you’re first coming to deschooling, is that shift in the adult-child relationship, right? Because so often, we come into this thinking ‘we’re the parent, we should know better, we should know how to solve this.’ We “should,” like, you hear that “should” there, all the time. That’s that expectation. That “perfect mom” idea that I need to figure this out and then be this new person with my kids. No. That’s the whole shift where you become human beings together. And once they see—I mean, these are emotions, again, that people are going to be dealing with until the end of days. I think if we can be more open about that. You know, how you’re feeling and like the question before, talking about, “Oh my gosh, I feel myself getting frustrated because I’m worried about dad trying to do this.” Or in your case, for this question, “I didn’t mean to say that. I’m feeling frustrated.” Maybe there’s a time pressure, or something else. When you’re saying those words, when you’re being transparent about your emotions and what’s happening, then they’re learning, “Okay, when I get frustrated I can just hold up my hand and say ‘Wait a minute. I need some help.’ Or, ‘I’m feeling frustrated.’” And how important is that? In work and in life and in relationships. So, this idea of kind of going into yourself and trying to be this perfect mom or even projecting a perfect mom to them, that’s not helpful. They need to see human beings. They need to see all of it. All of the beauty that we bring to this life, which is messy sometimes. And ugly sometimes. And that’s okay, because when we’re working together and we’re communicating, that’s the beauty. That’s the joy. Not this bar of perfection that I don’t even know where it comes from. But it’s relationships, and that’s why we always come back to: Talk to your kids. Take care of those relationships. Because when you’re in relationship with someone, when you have conflict or challenges or that bad moment, you’re still there for each other. So, those skills of communicating when you have those big emotions? Oh my gosh, so critical, always. So just wanted to throw that out there. ANNA: Okay, so question number three is from Joan in Rhode Island. Love unschooling and wondering: kids schooled and unschooled learn about race, gender, and class constantly through everyday interactions in the world. To me, this is something that needs to be actively untaught/retaught because most grown-ups have it all wrong! From my perspective, it’s a topic children would like to avoid because they can sense the weight and discomfort of it from grown-ups. I’m wondering how you teach about race, gender, and class in an unschooling format? How can we decolonialize our children’s understanding of the world and still let them be self-directed? Thank you! 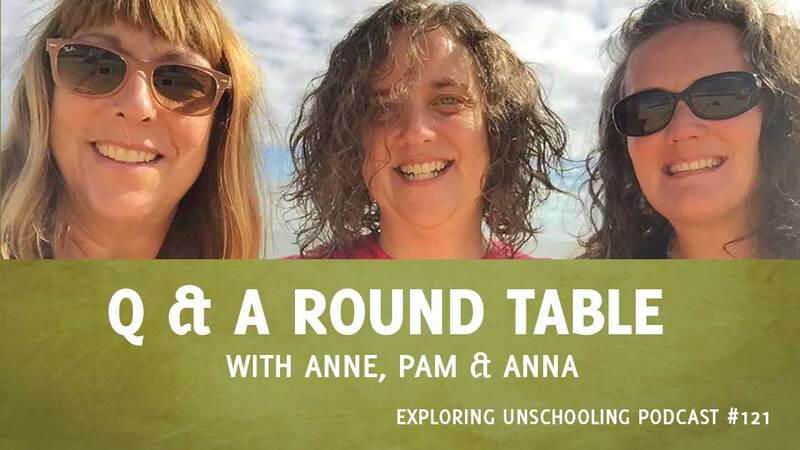 ANNA: Okay, so, I think one of the many benefits of unschooling is that we are actually living in the world, not a classroom. And through that living, we meet people from all walks of life. And I think one of the other big benefits that kind of couples with this is that we have time for discussion. So, we have time to process things together. Things that we see in person, on television, in the news, in our own experiences. We have had, in our family, many discussions about race, gender, and class, over the years. I never set out with an agenda to teach them anything, but more to be a resource to their own discovery. And also, to be a sounding board as they processed their own experiences. But I love that. Because that’s the kind of open discussions we have. And we can all have different opinions, and we can think about it and look at it different ways. And so that’s the beauty of these self-directed critical thinking youth that are being raised through unschooling. But again, I would look at some of the language that you have of “right” and “wrong” and “this way” and “that way.” Because that’s kind of diametrically opposed to this learning to think for themselves and making their own judgment about the world. I think personally we can stand to do a lot more listening and facilitating of children, and a lot less teaching and imposing. PAM: Oh, I love that. Because that nails it right there. I mean, for us that has been the huge piece. Through conversations, right? And again, back to that adult-child relationship. When you’re engaged as human beings in conversation about everything, all these topics come up. And I think the really good point, Joan, in the question, is that discomfort that adults can feel. We can acknowledge that discomfort, definitely, to ourselves, and maybe even out loud if it becomes an interesting part of the conversation. But the biggest thing we can do is choose to talk about it anyway. Over the years, my kids too have taken us deep into uncomfortable conversations. But I choose to keep going. Not have that scared moment where, “Oh, no, that’s not right. I need to step in.” Whatever the topic. Because that’s how we learn. I learn things from my kids in these conversations, too. It’s not, ‘Here’s this piece of information or perspective on things, and I need to feed it into my kids.’ That’s the fear piece that we need to release as we move to self-directed unschooling, etc. Human beings learn and when you’re facilitating those conversations and, as you said, that critical thinking, that’s where they put their picture of the world together. We talk about things we’ve seen when we’re out and about, about comments we’ve heard people make, things we see in TV shows and movies. There is fodder for these conversations everywhere. All the time. And if you feel like your kids are avoiding particular conversations so as not to make you uncomfortable, that’s when it’s time to just kind of push on your comfort zone a bit and start bringing up the topic yourself. Not out of the blue, because that adds more weight to it, and more pressure, right? But as we both just said, there’s fodder everywhere for these conversations. So just be paying attention and see when you notice something and share an observation. Share a thought. Just pay extra attention for a while. And see where things go. I think you’ll be amazed and really enlightened, for lack of a better word. And that’s just what Anna and I were talking about before. Things come up in life, as we’re out and about in the world. Not stuck in the classroom having theoretical discussions. We’re out and about in the world, engaged with all kinds of people, and conversations come. ANNA: And we have that ability, right? We have that ability, like Erika’s talking about, to go to different places, because I know in the area where I grew up, going to school—because I went to school—I was in a classroom with people, with basically my same birthday, from one of about five neighborhoods, right around my neighborhood. And that type of thing. So we had—I wouldn’t even call it diversity. And that’s what we knew. So, I think what I have really seen with unschooling is, again, we have friends all ethnicities from all over the world, all levels of income and class and all these different pieces. And I just feel like I have found that to be so wonderful. And it’s given my kids such a different perspective when I hear them having the conversations, I think, “You know what, I didn’t see these things that they’re seeing at this age. I didn’t have this understanding of other cultures the way they do. Because they have friends who are Hindu, or friends who are Muslim, and friends that have all these different beliefs. And gosh, I just love that about unschooling. ANNA: Yes! All the time. Yeah. PAM: All the time. Okay, next question’s from Suparna on Vancouver Island. “Anyway, long story short, here I am devouring your webpage and podcasts. I love the “love what they are doing” approach but my question is what to do if their interests/passions bore you to tears? My son is mechanically inclined, he is super passionate about remote control cars/vehicles and will sit at the computer surfing for hours, pondering and poring over makes, models, whachamacallits and whosits and doodads. I have tried really hard to be interested but it’s all mind-numbing to me. I am happy to encourage and provide him with whatever he needs to fulfil his passions, but there is a limit to how far I can go with his interests. I am a more artistic, fluid, organic person. So, how do you fully help your child develop his interests if you can just barely understand what he is doing? Thank you for reading! Hi Suparna! Yay, I loved your question. Basically, you help him develop his interests by fully supporting him as he explores. And you mentioned that you’re happy to encourage him, and to provide him with whatever he needs, and that sounds great! So really, the question of whether that’s enough is best directed to him. PAM: How involved does he want you to be? Is he asking for more engagement from you? And if he is, even that doesn’t necessarily mean you need to understand the topic in-depth yourself. Instead, maybe you can take a few key phrases and ideas that I’m sure you’ve heard him share and use those to do a bit of research. So, maybe finding a local RC vehicle group you could point him to. Or a related magazine you could subscribe him to as a surprise. You know, you don’t need to understand it all mechanically to bring your artistic flair to his exploration, right? You can be a connector between him and other things without understanding. So maybe you find a group, maybe it’s a rocket group, maybe it’s specifically RC vehicles, you take him and you guys check it out and maybe he connects with people and tries it, and stays; maybe he doesn’t. But it’s you expressing an interest and supporting his interest, and helping him with his exploration, and using your kind of artistic, out-of-the-box thinking to come up with interesting ways to connect. If that’s something he’s looking for. If he is happy with all the encouragement and support you’re providing with him now, that’s great. Again, it’s back to conversations with our kids so we know what they’re needs are and what their wishes are, and if those are the things being met. What do you think, Anna? ANNA: Yeah, I mean, I definitely found that I didn’t have to share the passion to support it. And really didn’t even need to understand it. I will say there is definitely lots of listening and taking in information of things that I didn’t necessarily understand, or sometimes wasn’t interested in. But instead of focusing on maybe my lack of enjoyment of a particular subject matter, I would just connect with the joy of their telling. Because, you know, that was just so easy for me to enjoy. And honestly, I’m kind of like this with anyone. If somebody is passionately telling me about something they love, I just get excited about that. ANNA: I just think, “Oh my gosh, I love this, and look at how cool it is.” And I know that I do it too, so people are going to hear about cows, or farming, or whatever I’m interested in at the moment. So, I love that energy of someone enjoying something. I don’t have to necessarily take it on. And again, I think it’s like Pam talked about, and really even what you’re already doing. It’s finding resources, and mentors that understood the passion. Because I do think connecting them to people who speak the language related to their passion is really important. Because it’s fun to then find that person that can add on to what you’re saying and that can take you maybe to a next level of something you haven’t thought about. So it’s fun to share with anyone, but then it’s really nice to have that person that speaks that same language. So that’s really what I would look for. Like Pam said, the RC club or the whatever, where people can speak that language and kind of take it to the next step. And finding other resources—that’s really what I saw a big piece of my work when my kids were younger, was finding resources. And that was interesting to me. So, while maybe the specific topic wasn’t interesting to me, figuring out which resources best supported the passion was a puzzle that I found interesting. It could be books or it could be a better computer, it could be different software, it could be a local group or a mentor or whatever. So, that was a puzzle piece that I found interesting. Find that way to make it something, like she was saying, connecting this bridge between the art and the things that you love with this passion that he loves, and supporting him in a way that can kind of help him go to that next level. I don’t think they’re mutually exclusive: you have to love what they’re doing, or not. PAM: I love that point, because that’s what I love too, the research piece. PAM: Because it was their excitement, and you wanted to re-engage that excitement, because that was always fun. But you’re right, it didn’t have to be through detailed knowledge about the topic itself. It could be through researching anything in particular. Even if it’s video games and you come across an orchestral concert playing video game music. I remember that, “Hey! You know what, this is going on.” Things that aren’t on their radar, things that they don’t know exist. Maybe they don’t know about paper magazines, maybe there’s a paper magazine that would be fun to get some mail. We used to get Nintendo Power way back when. There’s just so many ways that you can connect with them through the interest and being able to connect them with new things in the world. Anyway, I thought that was a great point to separate the understanding of the topic with the research. Because the research was something that I loved too. ANNA: Right, and you can kind of tweak that to be a way that works for you. You and I research in the same way, but even if you don’t—my friend Pat has a different type of personality, more right-brained, but she loves research in a different way, too. So, I think you can find a way for that to work. ANNA: Okay, so I am going to go onto question five, from Candace in Pennsylvania. Hi! First, I need to say how grateful I am for your podcast, especially the Q & A episodes. The discussions feed my soul and ground me. On to my question: I am very empathetic. I have been told more than once that I am an empath. I’m not sure if I am totally comfortable with that label, but I do know that I notice, feel, and experience other peoples’ emotions without them actually telling me how they feel. For example, I teach yoga and often people come to class to release their own emotional weight. I have left from teaching feeling very sad, only to find out that one of my student’s dog died the day before. My 5-year-old son has anxiety issues and is not comfortable in crowds. I believe that my 6- (almost 7) year-old daughter is very much like me. She loves being around other people and kids, but it also exhausts her emotionally. She will also go through days of feeling sad and not knowing why, or being angry at the world, or her family, or life. I was very much like that as a child and my parents tried hard to shame it out of me, telling me that my emotions were hurting other people or ruining our family time. It took me most of my adult life to make peace with the sadness within myself, and I wish to impart this peace onto my children. 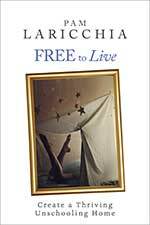 Their unique way of experiencing the world led us out of public schools to homeschooling, and ultimately to unschooling. 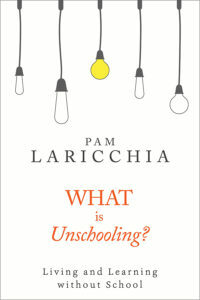 I am so very sure that unschooling is the right choice for our family. My son is relaxing into himself and actually finding the words to let other people know when he needs a break, and my daughter is learning so much in ways that I never could have imagined. However, since moving away from conventional parenting styles (such as seeing my kids’ “negative” emotions as something to fix) toward a deeper, more honest and level connection with my kids (seeing my kids as they are without needing to be “fixed”), I have begun to “take on” their emotions. When I was less connected with them and they were sad, I could separate myself from their emotions. Now, I get stuck in their head space. How can I continue to connect with them without carrying that weight with me? Right now, they are going through this amazing emotional journey, finding language for feelings, coping skills, and ways to find comfort when it is needed. But, all of this emotional openness has left me feeling raw, weepy and exhausted. Is this the way it has to be because of my empathic side, or is there a better way for me to connect without falling into their struggles? Any insight is greatly appreciated. Thank you. ANNA: Candace, thank you for that question. I definitely understand taking on others’ emotions. I also didn’t really understand it when I was younger and have worked throughout my life to be aware of where my feelings were coming from, and where my feelings ended and where I was taking on someone else’s feelings. And for me, I think finding a mantra or imagery can be really helpful. And the imagery that has helped me is to imagine that I am the rock in the river, and that the emotions are the water easily flowing over me. So, I’m there, and I’m connected, and I’m grounded. But the emotions don’t knock me over. Grounding myself in general also has been a really helpful tool. If I’m part of a particularly emotionally charged discussion, I will go outside and put my feet on the earth. Just being outside helps me, but if I’m really feeling a lot of emotion and kind of bombardment, I will actually lay on the earth. And it is the most amazing feeling to just let go of all of that into the earth. Honestly, try it if you haven’t. You can just really feel that shift. And I know that I don’t need to carry it. For me, it’s all been about awareness. When I can separate my emotions from those around me, I can be fully present for them. Taking on their anger or upset doesn’t serve either one of us. And I would say I was much more like that when I was younger. I would get upset when someone was upset, because I could just feel it. I would just let their upset and anger kind of take me to that place. And now people that know me and only know me as older, find me to be really calm and level-headed and whatever. And it’s not that I don’t feel that still, it’s just that I am able to separate it from my own emotions and because I like to be there for people. I really prefer staying in this place of being grounded in just my own emotions because then I’m able to offer the support. My joining in their emotion really isn’t supporting them as much as me staying grounded and being there for them to have that expression as their own. Because it’s their own. And so again, I think transparency and having conversations with our kids as we’re working through our emotions and upsets, it’s such a great gift because it helps them see real life. That we’re all human. We all have all these things going on, so we don’t pretend to be something that we’re not. You’re an emotional being, and that is a beautiful, beautiful thing. PAM: Yeah, I mean, what worked for me, or what works for me mostly, is to—I’m more of an analytical person—so I realize that I’m not really helping anyone when I take that on. Because I noticed, through experience, when I took on their struggles and their sadness as my own weight, we kind of just kept spiraling each other down even more. And we really got stuck. I realized when I didn’t take on their weight, I was just—just by being there, my presence being lighter and not heavy—I mean you can just see it, you can feel it in the person, right? As she was saying, even without the conversation, the energy comes across. But when we don’t take on their weight, we show them that this is not the end of the world. PAM: We can represent the light at the end of the tunnel. And it’s not that we’re dragging them there on our timetable, that, “Oh you need to stop being sad.” It’s not that they need to be happy or anything like that. But that it’s there when they’re ready. It’s like, you know, you being the rock. It’s the same kind of metaphor. Being the rock and letting it wash through. That you’re solid, and that you’re there. And through experience I also learned that I am more able to have conversations with them, to process what they’re sharing, process it back with them, brainstorm ideas with them, validate their perspective and their feelings, when I’m not mired in the struggle myself. So eventually I realized that was my work to do, when these things were happening. To validate them, and to release any weight that they may be handing me, maybe needing to hand me. Recognizing that it’s not my own, and that I truly am of more value to them without it. While I can see my child’s world from his perspective and deeply validate from that place, I also need to be in this place of trusting that all is well, both for him and for myself. My child needs this from me, especially when he’s feeling sad or otherwise challenged, and is not able to connect to any light in his life, not able to reach for a better feeling place at all. He can feel that I am not pitying him. He can feel that I am not feeling sorry for him. He can feel that I understand him, that I see him, that I hear him, that I know that this is hard, and yet he knows that I do trust in him and his path, no matter what. He can feel that I am ready to help him in any way I can, any way that he needs me to. He can count on me to throw him a lifeline when he needs it, because I have stayed in the perfect position to be of value to him by not disappearing into his emotions and doubling the weight and the darkness that he is already carrying. And I mean, in my experience, over and over, when I am able to hold that space, be that rock, be that light—choose whatever metaphor works for you that you can connect to in that moment, that can keep you grounded. ANNA: Yeah. Try it. I’m telling you, Pam. ANNA: Anytime I get somebody to do it, they’re like, “Whoa.” There’s just an energetic feel to the earth, so it’s really cool to feel that. Just letting all that go. ANNA: But I think when they can see that calmness, but yet, attentiveness, like Anne’s saying, I mean really there, truly validating, they can be rest-assured. And that doesn’t mean they’re going to instantly snap out of it, but I think it’s very scary for us to think that we are changing someone else’s emotion, and so it’s something we’ve talked about over the years is that we are each responsible for our own emotions. Nobody makes me feel any particular way. That is a choice that I make, and that is my job as someone who does feel things pretty deeply, to figure that out, and to not let someone else feel like they’re responsible for that. So, I don’t know, I think there’s a little bit more there you may want to think about and read the stuff from Anne and maybe there’s some things that will land for you as well. PAM: Yeah, because you know, in that moment when they’re coming to you with this upset, with this struggle, with whatever it is, it is their world. It’s overwhelming them. PAM: And if you get overwhelmed too, it’s like, “Oh my goodness, it just got bigger.” Right? PAM: But if they can see that you can totally take it all in, and keep your calm for them, then it helps right away just to put it in perspective and to realize that, “Oh my gosh, the world isn’t ending. We can continue to talk through this. We can figure it out, however long it takes.” Through that validation. 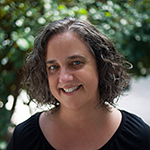 PAM: … just amazed and enthralled with your kids and your conversations. They do. It’s no longer eventually adult and kids. It’s human beings talking and sharing and connecting and arguing and, you know, all the things. PAM: It’s life. It’s life together. ANNA: Mmm, I love that. PAM: Okay. (laughs) I know, I have goosebumps now. Anyway, that is the last question for this month. Thank you so much, Anna, for answering questions with me. ANNA: Oh, thanks for having me. PAM: It’s always fun. And just a reminder there are links in the show notes for the things that we mentioned in the episode. And as always, if you’d like to submit a question for the Q and A show, just go to livingjoyfully.ca/podcast and click on the link. Have a great day everybody! Bye!